Create an elegant, eye-catching display with this archival quality Taylor Conservation Signature Frame. 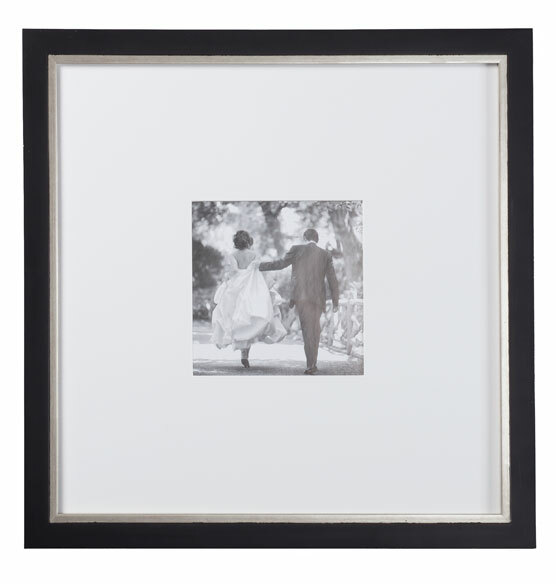 Prevent destructive fading and discoloration of the photograph and messages from your special day with this conservation frame. Using the same technology trusted by top art museums, the picture frame has special UV-blocking glass and mountboard that actively draws discoloring gasses and degradative pollutants out. A black wood finish and brushed nickel border make this an elegant addition to any room. 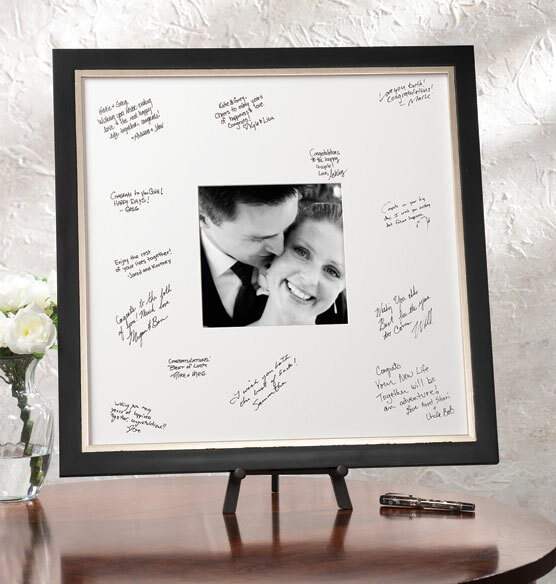 Perfect for creating a memento from a wedding reception, anniversary party or other celebrations. Do you recommend a certain type of ink in which to write on the mat? BEST ANSWER: Thank you for your question. We do recommend using a acid free ink as it will last longer and over time not discolor the backing. We hope this information will be of help to you. does this item come with the mat and the glass? BEST ANSWER: Thank you for your question. Yes this item comes with the glass and mat. We hope this information will be of help to you. How do we do the signatures? BEST ANSWER: Thank you for your question. You purchase a mat and have guests sign the mat before enclosing it in the frame with the glass. We hope this information will be of help to you.